I don't know about your household but we no longer get any print magazines. We have switched to the digital world. But I used to be a magazine hoarder. I had my favorites and I faithfully saved every issue. 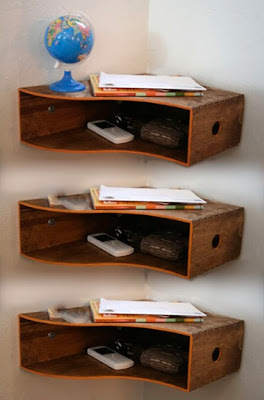 I would keep them in neat stacks and eventualy buy matching magazine files to line up on the bookcase. Times have changed. Not only do I not get new print magazines, I have tossed my collection (well, most of it). It is faster to search on the Internet, quicker to locate relevant ideas by online searching instead of poring through old magazines. So then why does IKEA still sell the Knuff magazine holders? 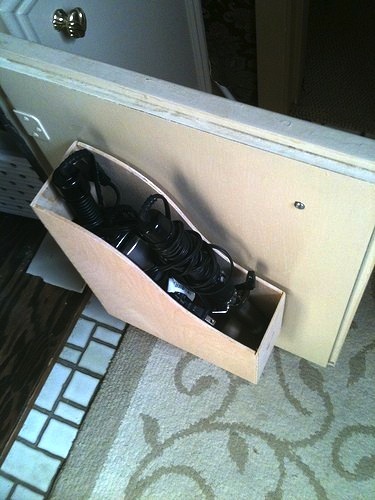 For IKEA organizational hacks of course. Here are a few creative applications I have found noteworthy. Mail Station: This one is made with 3 Knuff magazine files but you could expand it for as many people as there are in your family. Landing Station: What do you have right inside your door to store those keys? If you created one of these landing stations you might have an easier exit in the morning because you will know where you keys are! How about attaching three of these into the corner right inside your door leaving a space of about 12" between them? It would make interesting display space combined with a landing station. I'd look into running a power cord and creating a charging station as well. I might even consider painting them in ombre colors from dark to light. The above is an attempt to share the idea visually using photo editing software. I was learning as I experimented. It might have been quicker to make the darn thing except I don't have a corner inside my door! 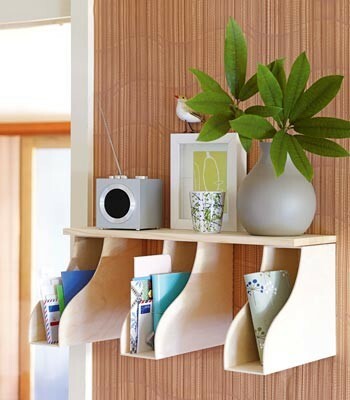 Hair dryer holder: A third idea is to attach one of these magazine files inside the door of your bathroom vanity to hold the hair dryer. 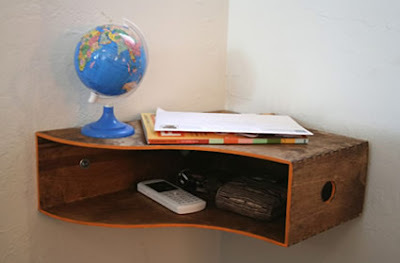 There are three great ideas for those Knuff Magazine files. If you have another please share! I will be implementing the hairdryer option after my next trip to IKEA. Love it. Why not simply hang the hair dryer on a hook?